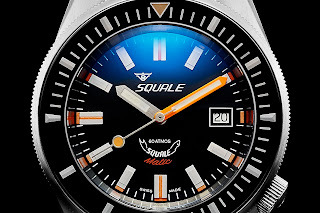 Proudly introducing the brand new Squalematic 60 ATM Professional with its perfectly blended vintage and contemporary lines, it is a diver that is imho Squale’s greatest and best looking model to date! 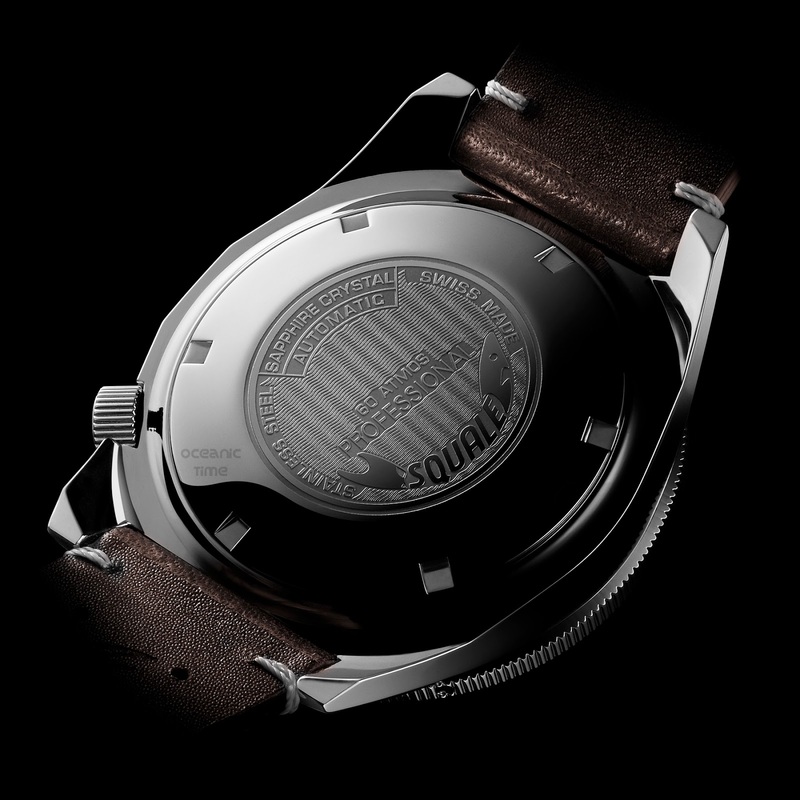 The Squalematic 60 ATM has been executed in a more modern 44mm diameter size while respecting Squale’s great historic designs in an eye-catching and authentic way. 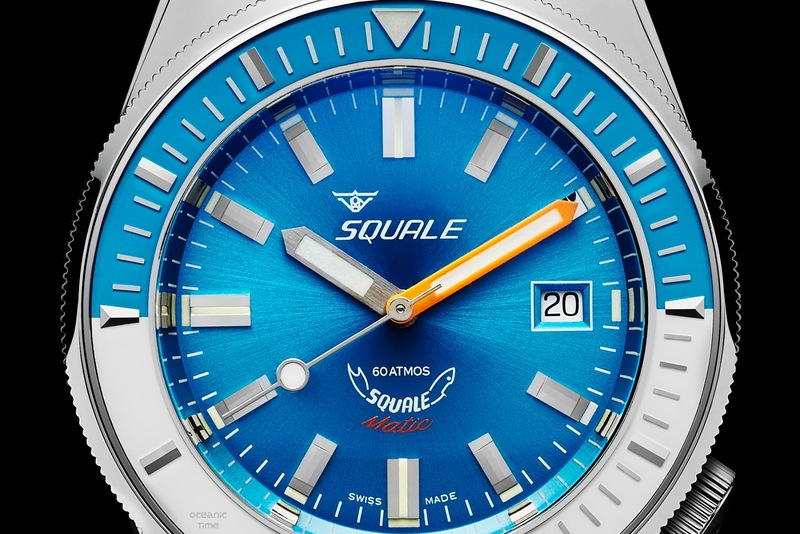 The Squalematic 60 ATM features Squale’s signature crown at the 4 o´clock position which has been slightly recessed so that it is well protected against any unwanted impact. The elegantly flowing design of its combination brushed and polished case is said to be exceptionally comfortable to wear. 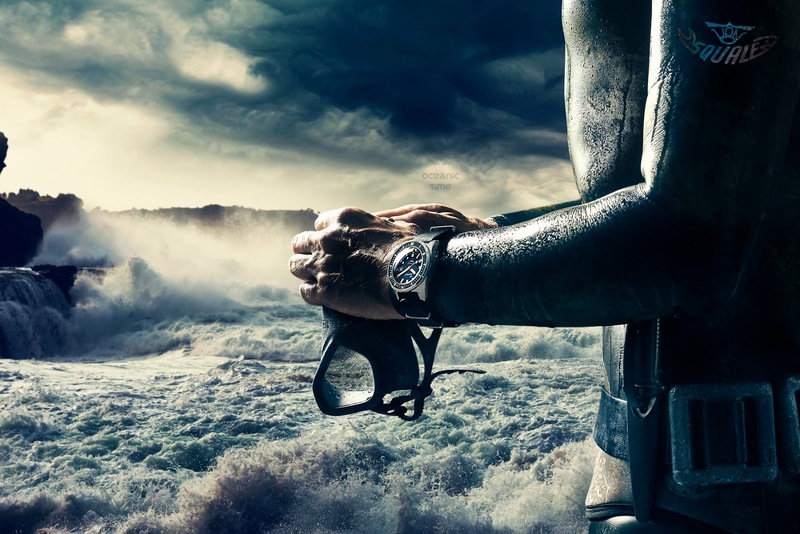 Just look at it on the wrist of the diver pictured above! 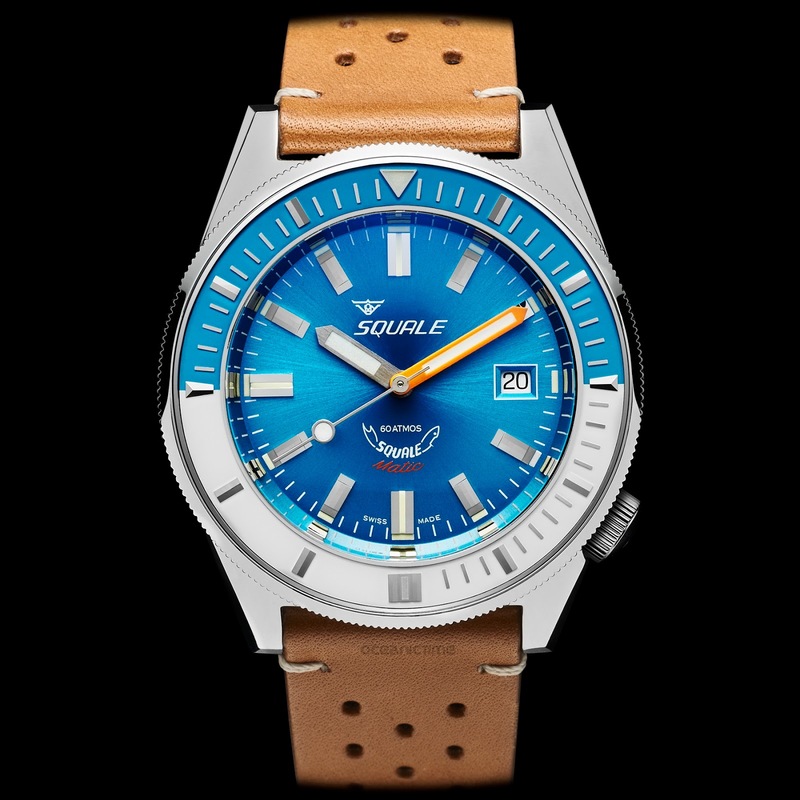 Its hand-painted dial has been applied with distinctively designed steel hour-markers while Swiss SuperLuminova provides excellent legibility even in low lighting conditions. The coin-edge 60-click unidirectional divers bezel has an old-school enamel inlay. The SuperLuminova painted steel markers perfectly echo the sporty orange of the minute hand, providing vital information on remaining or elapsed dive-time at a glance. 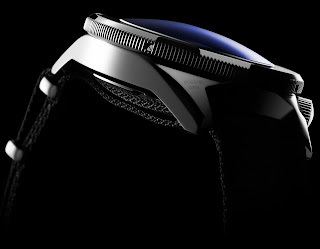 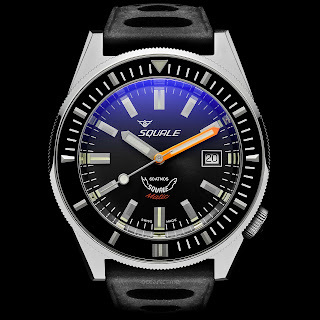 A scratch-resistant, double-domed, convex Sapphire crystal has been enhanced with anti-reflective treatment on both sides protecting the Squalematic up to 600 meters below sea-level (60 atmosphere of pressure) as well as allowing for perfect legibility without blurring and optical distortion. 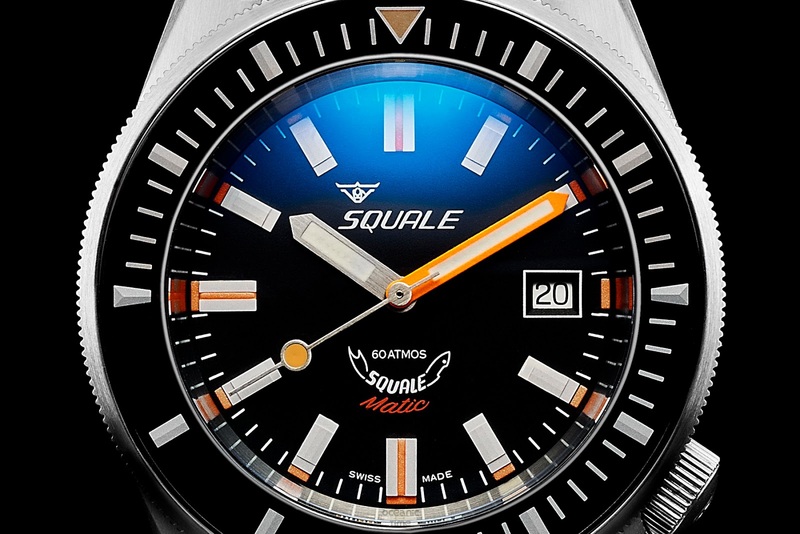 The double domed Sapphire crystal gives it a perfect retro look and feel, adding to the uniqueness and special character of the Squalematic. The Squale 60ATM Professional is powered by the tried and tested Swiss ETA 2824 movement, and provides reliable and accurate timekeeping under the toughest conditions. 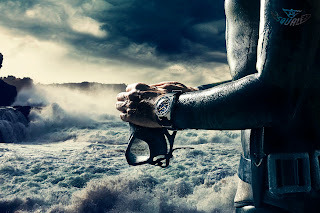 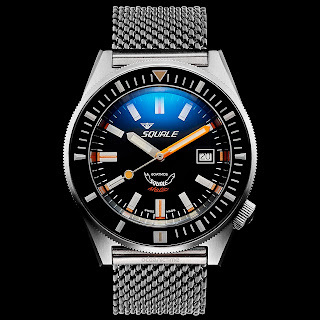 The watch respects all the core values of a Squale dive watch being, reliable, elegant, unique, affordable and easy to service. 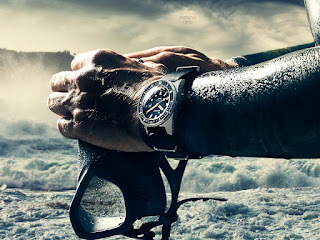 I absolutely love it – how about you? 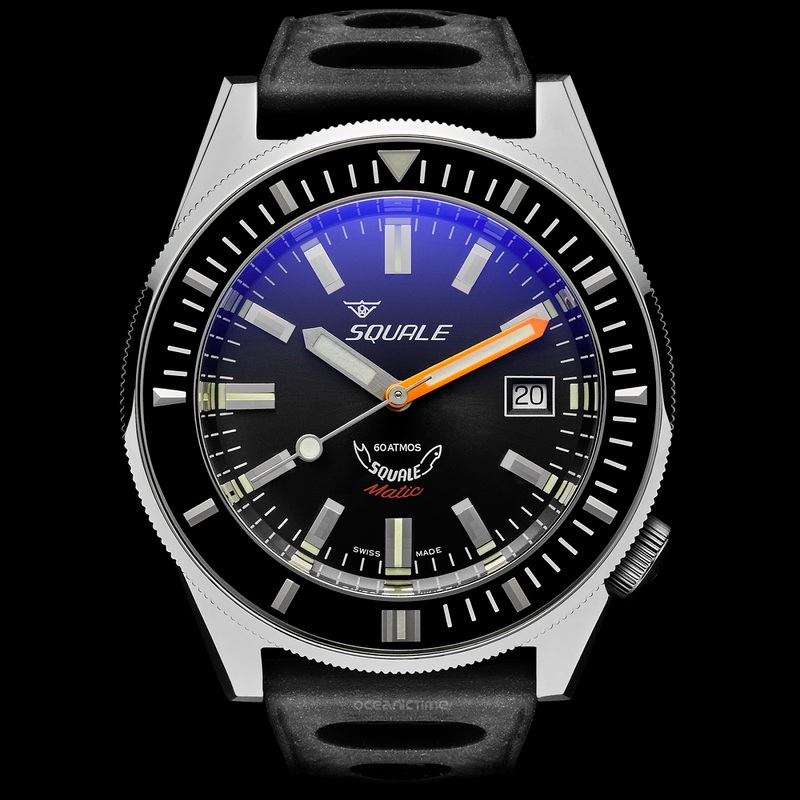 Retail-prices Reference: Squalematic 60ATM reference polished case 1190 CHF; while the Squalematic 60ATM reference brushed case is 1290 CHF. Liked this? 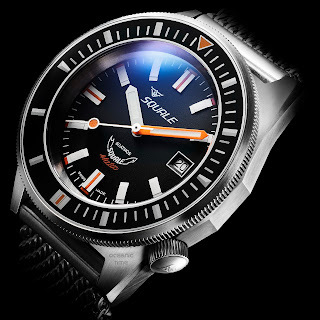 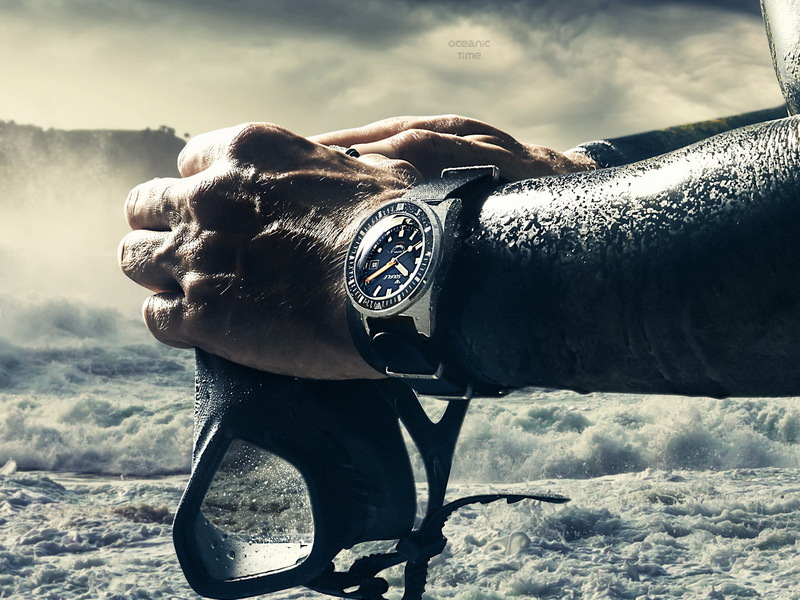 Why not check out the Squale TIGER Final Edition . . .